Gurbaksh Chahal, the tech wunderkind who got fired from his CEO job for allegedly assaulting his girlfriend, has managed to avoid jail so far. But that could change on Friday. Chahal will be sentenced on Friday in a San Francisco court for violating his probation in a second assault, a year after the first one. The former tech CEO had pleaded guilty to two misdemeanor assault charges from the original 2013 assault. He paid a fine, lost his job as CEO of the marketing tech company RadiumOne, and went on probation. But in 2014, he was accused of assaulting another woman. Just last month, on July 22, Judge Tracie Brown of the San Francisco Supreme Court ruled that Chahal's second assault had violated his probation from the first assault. Now Chahal faces sentencing for misdemeanor charges related to the second assault. He could be sentenced for up to a year. It could have been worse. He originally faced 47 felony assault charges in the 2013 incidents, and a video showed him hitting his girlfriend 117 times. But the video was ruled inadmissable because it was illegally seized by police. So the charges were downgraded to two misdemeanors. 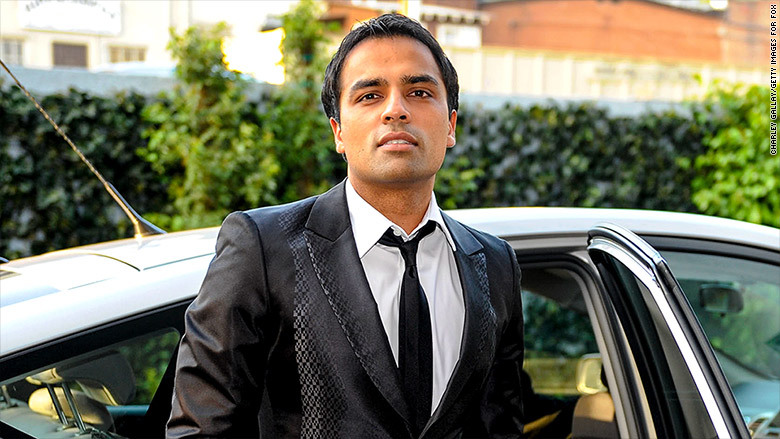 Tech wunderkind and fired CEO Gurbaksh Chahal might finally go to jail for assaulting women. The board of RadiumOne fired him only after there was a backlash over its initial decision to keep him employed. Chahal told the board in an open letter in 2014 that he was "deeply disappointed" as well as "shocked and saddened" with the decision to fire him over the "exaggerated allegations against me." He wrote that he was "practically lynched on social media." Defense attorney James Lassart did not respond to messages from CNNMoney. Emails to the Chahal Foundation and Gravity4, where he now works, also went unanswered. Chahal identifies himself on his Twitter (TWTR) account as a "die hard entrepreneur" and the founder of RadiumOne, Gravity4, ClickAgents and BlueLithium. The website for his Chahal Foundation says he dropped out of high school at age 16 to start his first company. He later flipped it for a hefty profit. He urges his Twitter followers to #DreamBigHustleHarder and to #BeLimitless. Chahal is also involved in a lawsuit at the marketing tech company, Gravity4, where he is accused of wrongful termination. Encarnita Alonso filed a lawsuit against Gravity4 last year, after the company hired her as senior vice president of global marketing and fired her just six weeks later. Her lawsuit in California state court charges that Chahal and Gravity4 violated her privacy by secretly monitoring her and that her termination was part of a "pattern ... of humiliating and abusing women who dared to question him." Chahal denied the charges. Lawyers representing Chahal, Alonso and Gravity4 did not immediately respond to CNNMoney.